The 2016-17 season has been a season of change. We've said our goodbyes to paddlers moving onto new waters, and welcomed new paddlers onto the team as well. Our long-time paddler and co-captain, Karin, has been able to drop in for a social paddle or two before hanging up her paddle (for now), and Stacey is cheering us on from Aus! New paddlers this season include Bruce, Hilda, and JC, and although Cassi isn't new to our team, this is actually her first season paddling in a race! Change isn't anything new to those of us used to an international school community like ours -- its highs and lows are familiar. While we miss our paddling friends and what they brought to the team, we gain new perspectives and fresh energy from the chemistry we have with new teammates. The make-up of the team this year gives us our highest male-to-female ratio too, something we have struggled with in years past, especially when compared with non-school based dragonboat teams... ;) With JC and Hilda joining this year, we are also diversifying our team further to include non-teaching staff members -- contrary to popular opinion, we're not all teachers! We hope in upcoming seasons to reach out further to include more members of our community on our team. Meet the Dragonflies... Maggie Taggart! 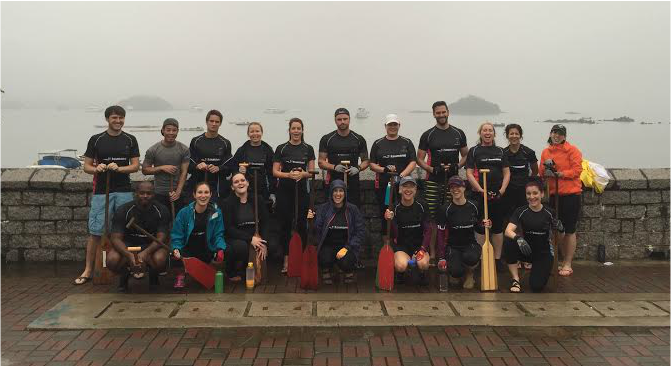 1) How long have you been paddling for the HKA Dragonflies? Why did you start? This is my second season paddling with the Dragonflies. I joined last year mostly for social reasons and an excuse to get out on the water after work. 2) What sorts of exercise do you like to do outside of dragon boating? I enjoy being active outdoors- and Hong Kong is the perfect place for it. I run, hike and do a bit of yoga. 3) What are the challenges you've faced while dragon boating? 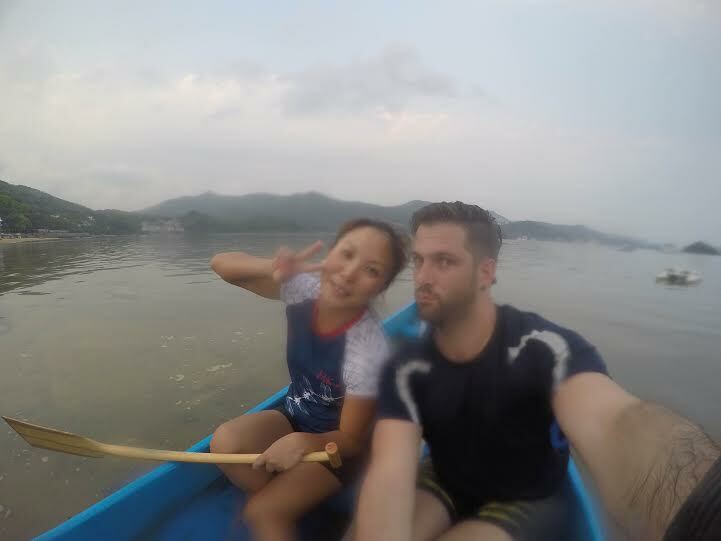 Aside from the general dread of practices during the rainy season, it took me a long time to really understand the dragonboat paddle stroke (still working on it!). 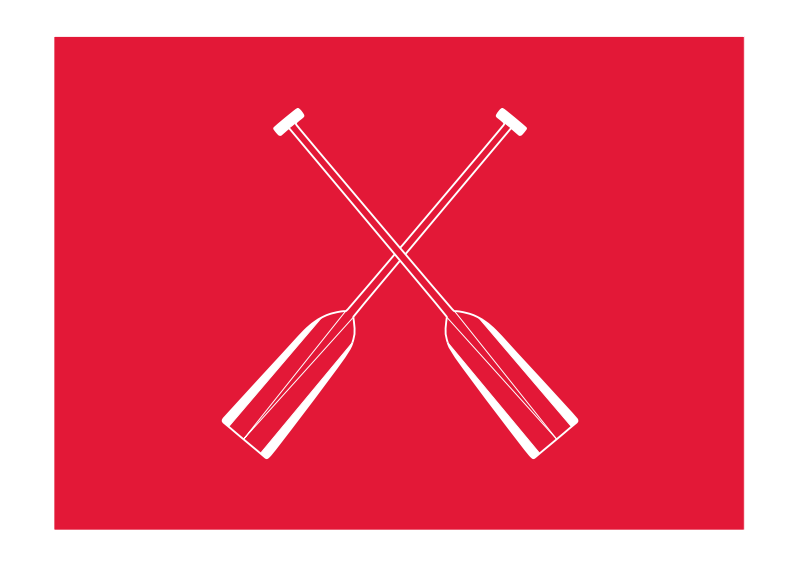 I grew up canoeing, which is a very different movement- and pace! No lily-dipping or teabagging allowed on the dragonboat. 4) What do you enjoy most about dragon boating? Swim breaks, race days, post-practice pier beers....and of course the scenery out on the water. 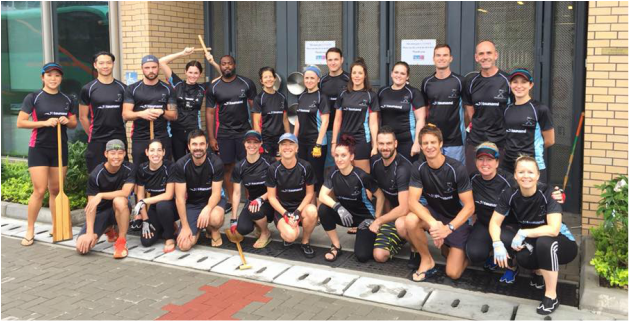 5) What tips would you give someone considering taking up dragon boating? Stick with it for a full season to experience the highs and lows. Post-Race Report from the Gold Bowl winners of the Stanley Warm-Ups! Last Saturday, May 14th, was the 11th annual Stanley Warm-Up Races! Not only was this our first racing event in Stanley for this season, it was also our first time paddling in Stanley this season, and, for some of us, the first time paddling in Stanley at all! Whichever situation we were in individually, we were all pretty pumped for this race event as a team. We had scanned the weather forecasts nervously all week and were not surprised that there were thunderstorms on the cards -- again! We weren't too phased. After all, who can forget the last time we were here for the Warm-Ups!? We had paddled in Black Rain and thunderstorms, and even had our last race cancelled for safety reasons! Luckily, this year turned out a little brighter for us, in more ways than one! ​Part of the Stanley Warm-Up Race tradition is to wander off of the beach and get a big cup of coffee and breakfast (and sometimes cake, let's not lie) from one of the restaurants in the square. 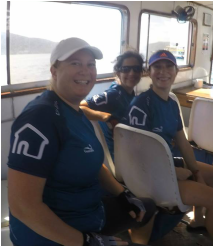 Many other teams had had the same idea, and, with the wait being such a long one, we were able to incorporate a lot of other non-dragon boating activities, like shopping and catching up on magazine reading, as well! By early afternoon, we were sheltered ourselves from the elements. We waited patiently for our last race. As the Stanley Dragon Boat Association wasn't able to send out more than one set of boats at a time (it was that windy! ), we were well over an hour behind schedule! But then again, isn't the waiting part of the fun...? Just after 3:30, it was our time to shine in Race 51 -- the Gold Bowl A Finals! We recognised a couple of the other teams that we were up against and were determined to learn from our first race. The tail wind meant for a shorter race, with fewer strokes than we were used to, which meant that we had to give it our EVERYTHING in each and every stroke that we paddled. We couldn't underestimate the competition...!! This paid off, just looking at our times alone. Cassi, our drummer, called our first power up at just after twenty strokes into our race pace. This was unheard of! (Again, the tail wind...) But we heeded her call anyway and it paid off! We had managed to shave two seconds off of our race time from the heats and beat the competition by more than this -- a convincing lead. Thanks, once again, to our sponsors, Tsunami Sport, i-Land Property, Casa Tapas Bar, APA Soccer Schools and Blue Sky Sports Club for your continued support of us this season. With the same determination and commitment, and a couple of tweaks and adjustments here and there, we are feeling confident that we'll be ready for the big day. Paddles IN!! 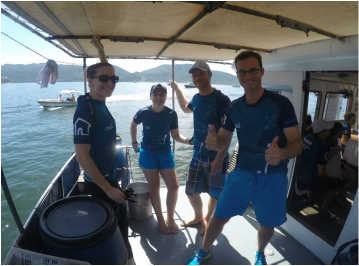 (Belated) Post-Race Report from the Sai Kung DB Lovers Dragon Boat Races! 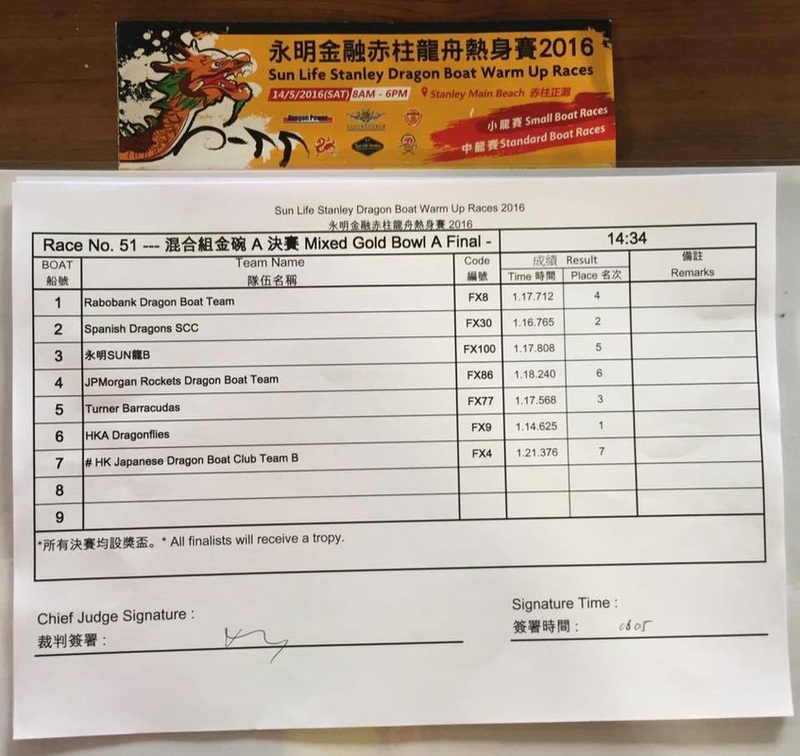 A belated post-race report following our recent DB Lovers Dragon Boat Races here in Sai Kung, on 1st May 2016. This was our first racing event of the season, and our third time competing in the event. We are pleased for them, that the event grows in size every year. This event is only for racing short dragon boats and we were pleased to be able to put forth two balanced short boat teams again this year. It is so important to us as a team to not have an "A" team and a "B" team as we have always run on participation and teamwork -- this is all you need to become a Dragonfly! We are now counting down to our second racing event, the Stanley Warm-Up Races, this Saturday. It will be a much bigger event, with over a hundred Mixed teams competing. We are, however, more familiar with this event, and are confident that we will continue to do well. As teachers, we have been talking with our students a lot about appreciation this week, as our students are engaging in a number of collaborative projects that require group work in order to support one another's successes. It is fitting, also, that as a team, we have been thinking a lot about what has gotten us here so far, and what will carry us through for the remainder of this season. A huge "thank you" goes out to our sponsors. Tsunami Sport, Casa Tapas Bar, APA Soccer Schools, i-Land, and Blue Sky Sports Club. Your sponsorship and support of our team enable us to continue participating in these top tier events. Thanks, also, to our family and supporters both near and far. We will continue to update you both here and on our Facebook page on our results as the season unfolds! Meet the Dragonflies... Alyson Doty! ​Doty!! We've had Aly on the boat for three seasons now. She's not one to be underestimated -- this petite paddler brings both banter and a killer stroke to the team! ;) Read on to find out more about her thoughts on being a member of the HKA Dragonflies! This is my third season with the Dragonflies. I started because I was looking for something both active and social, plus I live in Sai Kung, so I have no excuse for not being able to make it to trainings. ​2) What sorts of exercise do you like to do outside of dragon boating? I enjoy yoga, boot camp classes and pretty much anything active outside. The dragon boating season is a commitment in terms of time and sometimes that can be a challenge, especially when you’re faced with a two hour practice at the end of a long work day. However, I think we all feel proud of ourselves at the end of hard practice, so the challenge rewarding like that. Doty and the rest of the team before our first race last Sunday! You definitely need to give it a go! Meet the Dragonflies... Carly Buntin! Fresh out of the successes at our first race here Sai Kung this past weekend, we're getting together with Carly Buntin! She's new to the team this year, although she had dabbled with the sport last year for a couple of sessions before Buntin #3 arrived :) Our smiliest member, she's hard to miss! 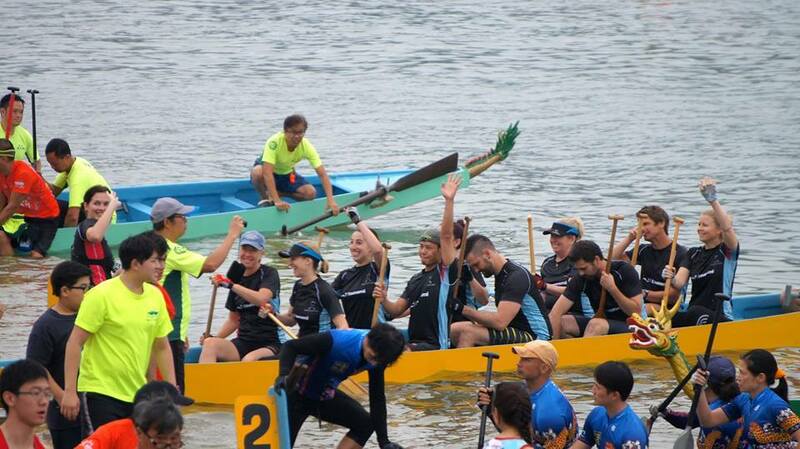 Read on to hear more on her thoughts about dragon boating with us! It's my second year paddling. However, last year's season was cut short after a visit from the stork. I'm excited to be back this season for the actual races! I started because I wanted to get some exercise and be a part of a team, as well as build friendships beyond school. Now, it's treasured time with adult conversation too, which is a bonus. I love paddling strong and fast. It's exhilarating. Race starts are my favourite part of practice sessions! Is that weird? Oh, and I love being on the water so that is always a bonus for me. I also like the team spirit and getting to spend time with other staff who I might not get a chance to see during the school day. Ok one more thing (there's a lot to like)... I enjoy having a chance do something active with my husband too, outside of all our other roles... when he shows up that is... *cough* shoulder injury (accompanied by music from the world's smallest violin). Carly and the crew, between races! Do it! Why waste time procrastinating when you could be in the boat?? You get the hang of the somewhat unnatural form eventually and it's so much fun. Meet the Dragonflies... Zoe Coughlan! Zoe is another one of this year's new recruits, although you wouldn't know it if you saw us on the water. Zoe started with the team right at the start of the academic year, when many of us 'oldies' were 'social paddling' before the start of the official training season. Read on to hear some of Zoe's thoughts on all things Dragonflies! 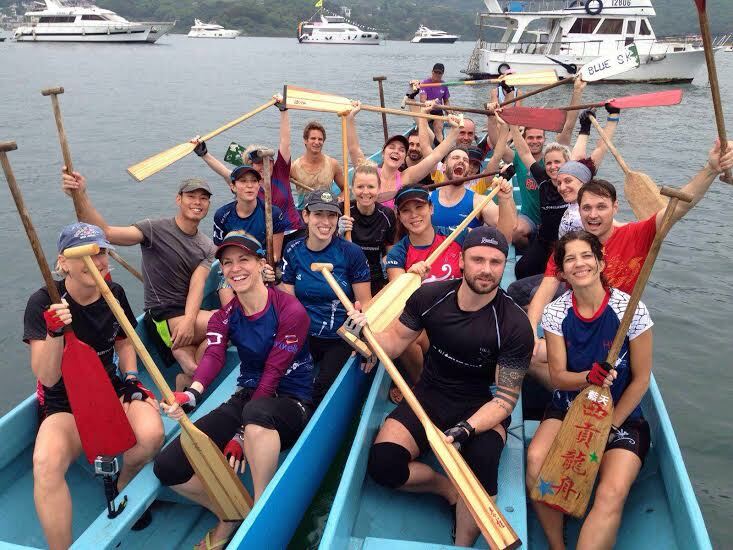 ​1) How long have you been paddling for the HKA Dragonflies? Why did you start? I'm new to HKA and new to the Dragonflies this year. I decided to join partly as a way to get fit, and partly as a way to meet some new people at school. Before I joined HKA, I hadn't really done any proper exercise for years! But there's a great friendly and healthy culture at school, so since August I've started doing yoga regularly again. Recently I started attending bootcamp sessions in Sai Kung too. I'm feeling a little apprehensive about the races - so wish me luck! The Dragonflies at their last practice before the Sai Kung races on 1st May! Meet the Dragonflies... Cornel Marais! This is my first season taking up the paddle. I joined due to cumulative peer pressure from my colleagues, but after the first session realised I actually quite enjoy it. I am generally pretty active. I like to run, hike and also recently started doing yoga twice a week. I also work in a couple of sessions in the gym every week. Starting the training season in one of the colder winters Hong Kong has experienced was not what I would call a fun or exciting start to dragon boating. Icy cold winds and even rain at times were miserable but the dedication from the team each week motivates me to keep going. Come wind or rain, we go for it! Apart from the physical benefits of the cardio, the camaraderie is great. I get to interact with a different paddle partner every week and of course there are some tasty hoppy beverages at the end of training. Final thoughts, just go give it a try. It will exhaust you, but it will also calm you. I find the meditative effect of the repetitive paddling helps me work things out in my mind, to get rid of some frustrations. I feel both completely drained and completely re-energised after each session. Meet the Dragonflies... Stacey Thompson! Stacey Thompson is a third grade teacher at Hong Kong Academy, and a big part of the HKA community. After a couple of years of light (!) persuasion, we finally got Stace back on the boat last year! 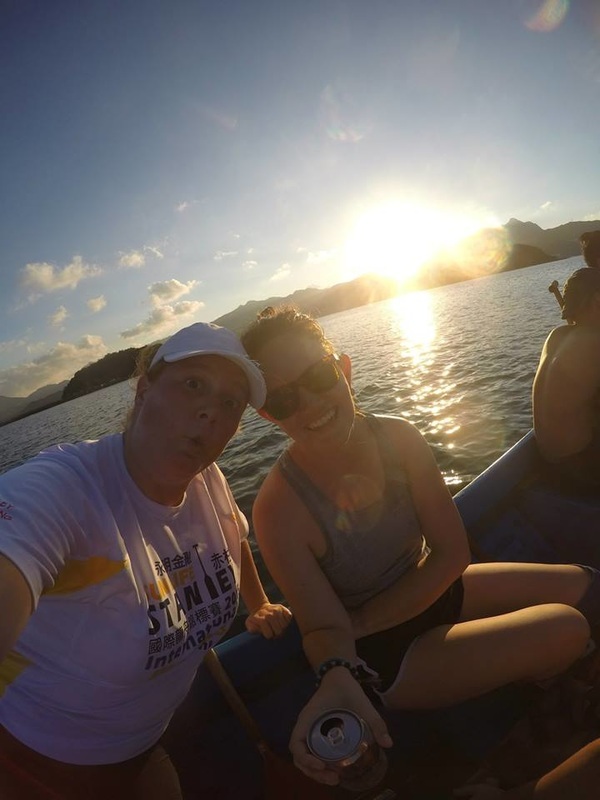 Read on as we chat with our most positive paddler about her dragon boating thoughts! ​On our way out to a race! I like walking (especially on long beaches) and swimming. Beating the mindset of 'I'm tired" after a long day. Also, there really is nothing natural about the movement of dragon boating strokes so getting the timing right, the reach, twist, snaps and everything else took patience and practice (and still very much does!). Additionally, it can be a challenge to get back into the boat after a swim break sometimes! I love the camaraderie and spending time with the team and with people I don't get to see on a daily basis. The team aspect is a strong motivator for me. I also enjoy seeing personal progress and feeling good after a hard training. Oh and you do develop pretty good guns by the end of the season! Give it a few sessions, enjoy the pier beers after and don't expect to perfect it after just a few sessions. I'd also suggest you get a pair of gloves as those callouses are real. 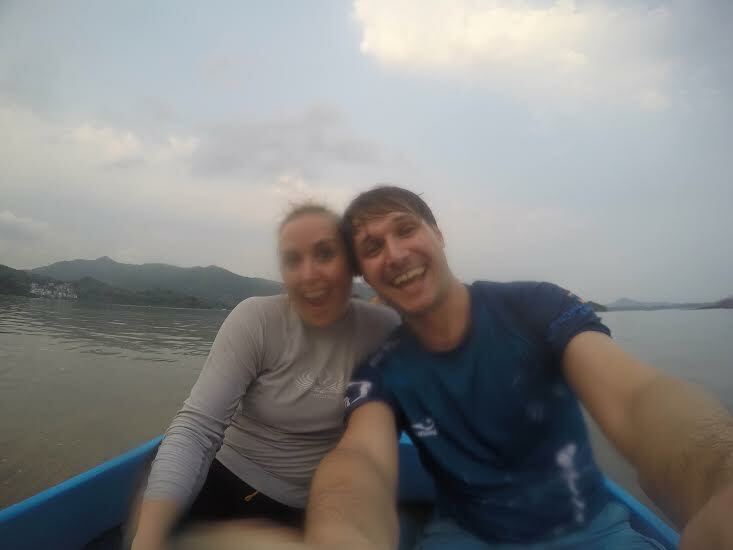 I'm pleased I came back to dragon boating as it really is a unique Hong Kong experience and we have a lot of fun along the way too. Being out on the water with friends, after a long day is always worth it! during last year's Warm-Up Races at Stanley! The Hong Kong Dragonflies team is mainly made up of teachers and faculty from HKA. However, over the years, we have had parents, spouses and partners joining us on the team. This past season, we had extended our membership to friends of paddlers... Meet one of our newest members, Morgan O'Hara as we chat with him about what it's been like to be a member of the team! I’ve been paddling for under a year, coming in as a replacement when they were in need of an extra paddle before last year’s Stanley races. I like a bit of variety: the occasional run, swim, hike, or workout session. Aside from the usual (a sore bum and back) it’s been a challenge for me to stick to rhythm while sticking to form. It always seems that if I want to paddle with proper form my timing suffers, or vice versa. Being out on the water and enjoying the stunning vistas, coupled with the camaraderie amongst colleagues and friends on the boat, makes it a lovely afternoon out. Aside from a good workout, dragon boating is also a special Chinese tradition, and is a unique windows unto Chinese culture - enjoy it as such and learn a bit about this history behind the races. Thanks for sharing, Morgan! Stay tuned for more from the Dragonflies soon! 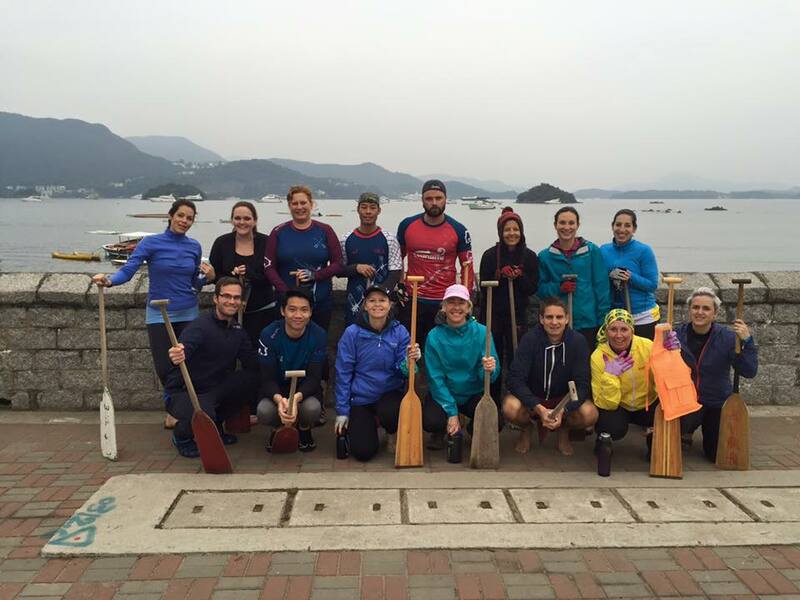 We are a dragon boat team made up of teachers, faculty and friends of Hong Kong Academy School in Hong Kong.